Rambabu Sidibomma has come a long way from Inampudi, a village of 1,500 souls in Andhra Pradesh. In Inampudi, the village where Rambabu Sidibomma grew up, you didn't feel like you were poor because everybody was. But life was hard in this remote corner of Andhra Pradesh, one of India's largest and most populated states. Many families lived on less than a hectare of land and a pair of buffaloes. Rice came from the fields, fish from the small river running through the village, milk from the buffalos ... and dung provided gas to cook it all. Through merit and a succession of government grants and scholarships, Rambabu was able to go to school, professional college, and then university where he earned his mechanical engineer's degree. But government didn't provide money for clothes, and movies, and fun. Only "hard labour in the fields" could do that. "My children cannot imagine the kind of hardships I went through." Rambabu joined the Institute for Plasma Research in Gandhinagar—a new town in Gujarat, named after Mahatma Gandhi—in 1997. "A major fusion program had just started, aiming at the construction of a "new generation," steady-state superconducting tokamak called SST-1. I worked on the neutral beam heating system and I still feel part of that community." 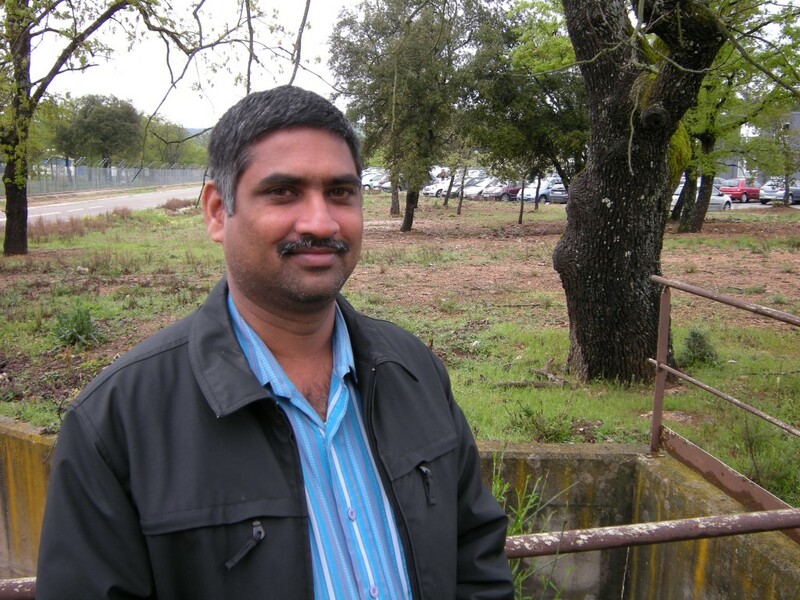 Last October, Rambabu joined ITER as a Senior Designer Analysis Assistant. His job is to make sure, through computer simulations, that the poloidal field coil structures withstand the forces and mechanical stresses they are submitted to. "I wanted to have that experience, getting acquainted with new techniques and new approaches." Rambabu has settled in Manosque with his family. His two children, aged 3 and 7 attend the International School and have begun teaching him French. Combined with the weekly classes he is taking, Rambabu is confident he'll soon know enough of the language to handle the day-to-day requirements of living in France. Learning to speak other languages is nothing new when you are an Indian. "I grew up speaking Telugu, which is the official language in the state of Andhra Pradesh; I learned Hindi at school to communicate with people from other parts of the country; and English is a requisite when you work in science. So, if I can master the problem of the pronunciation, the 'silent vowels' and some other tricks of the French language I think I'll be okay. And my children will be there to help me ..."